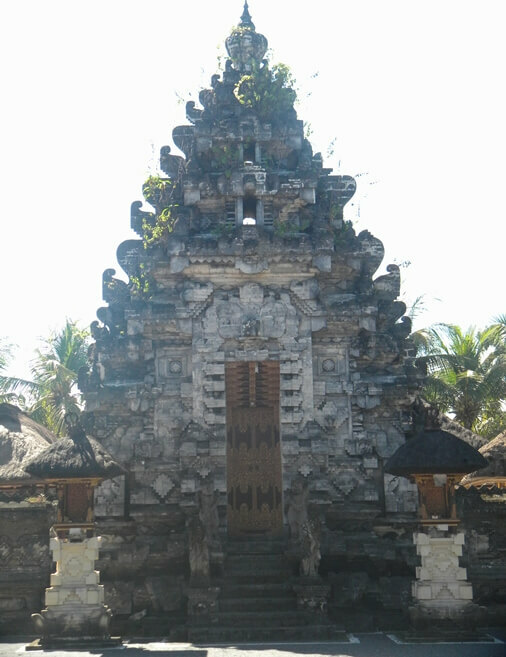 Masceti Temple is located in Medahan Village, District of Blahbatuh, Gianyar Regency, Bali. 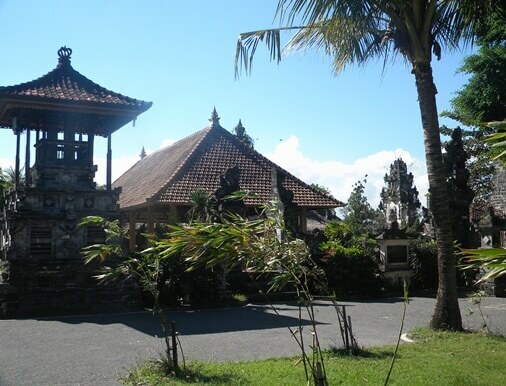 This temple is situated on the shoreline, overlooking the scenery of the southern sea, rows of coconut trees and beautiful view of the East Bali mountains. There are grow many trees with huge canopy at the temple area, such as banyan tree, frangipani, coconut and the gardens are laid out neatly. There are some restrictions that must not be violated in this temple, such as the ban for the mourning people (have a relative who died), menstruating women and mothers of the children who have not yet performed the haircut ritual. Like the other holy temple, visitors who would enter the Masceti Temple are highly encouraged to use cloth or Kamben and shawl. This temple has a strong relationship with the farmers. Many people (farmers) who come to this holy temple to pray for safety of agricultural plants from pests and diseases. Pura Masceti also believed to be a guard of Bali island from sea evil spirits. 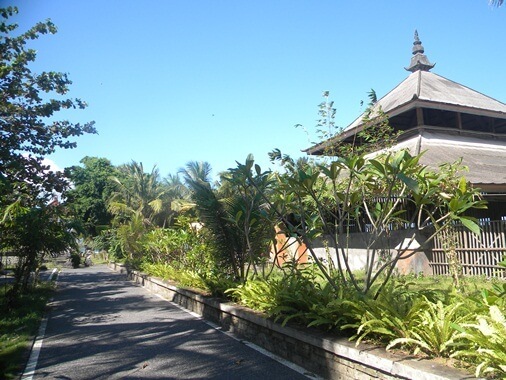 This temple is divided into three sections called Tri Mandala (Jeroan, Jaba Tengah, and Jaba Sisi). Pura Masceti existence is mentioned in ancient manuscript "Dwijendra Tatwa". This entry tells the journey of a holy priest from East Java, Dang Hyang Nirarta. 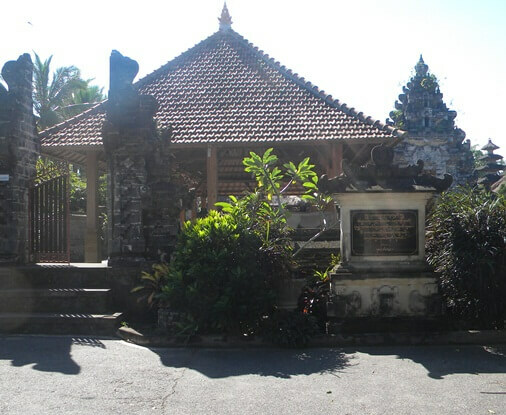 He arrived in Bali during the reign of Dalem Waturenggong in Gelgel, Klungkung (around the 16th century AD). In this section told about the priest walking down the street from the rice fields upstream toward the coast in the south. Furthermore, through the village of Rangkung westbound approaching the Port of Masceti. Then the priest saw the light sparkling in Pura Masceti. He went into the temple and intends to do the praying. It is then known by Ida Bhatara Masceti. Just before the priest start the ritual, Ida Bhatara Masceti approached and said that the holy priest has united with a holy God and should return to Acintya Loka. The holy priest was not allowed to worship and eventually accompany Ida Bhatara Masceti chatting on the seafront. Start from Pura Masceti continues to Serangan Island (he had visited before). From Serangan Island towards Kerobokan (Petitenget). At Petitenget, Ida Bhatara Masceti decided to return back and Dang Hyang Nirarta continues the trip to Uluwatu Temple (which he had been built before).